In Windows 8, we reimagined the browser with IE11. We designed and built IE11 to be the best way to experience the Web on Windows. With IE11 for Windows 7 consumers can now enjoy a fast and fluid Web with the updated IE11 engine on their Windows 7 devices. The final version of IE11 on Windows 7 is available for download today. IE11 on Windows 8 brings an entirely new browsing experience and set of capabilities to the Web, such as a new touch first browsing experience and full screen UI for your sites, security improvements that offer the best protection against the most common threats on the Web, improved performance, and support for the HTML5 and CSS3 standards developers need. With this new release, Windows 7 customers receive all of the performance, security, and under-hood changes that enable a stellar Web experience. IE11 Release Preview also sends the "Do Not Track" signal to Web sites by default to help consumers protect their privacy. You can experience IE11’s leading performance first hand with new demos on the IE Test Drive site with examples of hardware accelerated rendering in the Aston Martin 3D visualization for high frame rates, and interactivity, touch, and media with Audio Explosion. Developers building on these capabilities in Windows 8 can run the same markup with the same performance and capabilities on Windows 7. You can find a full list of new functionality available to developers in the IE11 developer guide here. IE11 continues our focus on helping consumers protect their privacy, which started in IE9 with features such as Tracking Protection. In Windows 8, "Do Not Track" (DNT) is "on" in the Express Settings at time of set-up, and IE11 in Windows 7 also sends a "Do Not Track" signal to Web sites by default. Microsoft's customers have been clear that they want more control over how their personal information is used online. While "Do Not Track" is a technology solution that’s still in its formative stages, it holds the promise of giving people greater choice and control of their privacy as they browse the Web. IE11 Windows 7 customers are notified of the "Do Not Track" setting via IE11's first run welcome page, including instructions for how they can turn off "Do Not Track" should they wish. We believe that meeting customer expectations by putting people first is the best way to grow online commerce and the Internet economy. Our commitment is to provide Windows customers an experience that is "private by default" in an era when so much user data is collected online. IE11 is the first browser to send a "Do Not Track" (DNT) signal by default. For developers, IE11 brings increased support for modern Web standards powered by hardware acceleration to enable a new class of compelling applications and fast and fluid Web browsing. IE11 adds support for over 25 new or improved modern Web standards beyond IE11. 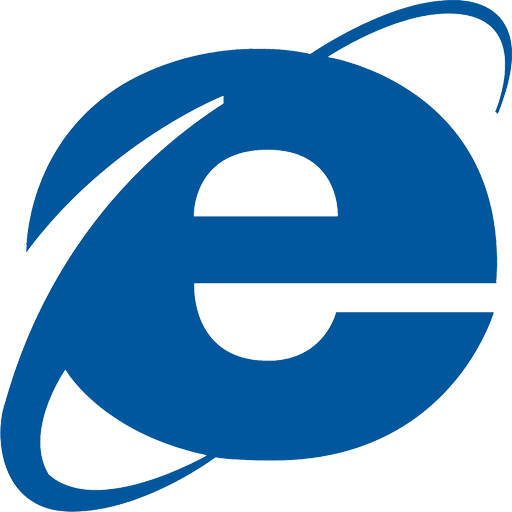 IE11 puts your Web sites first, delivering the best Web on Windows across a full range of devices and screen sizes that is equally great for touch, mouse, and keyboard. You can have as many open tabs as you want, and side-by-side browsing with your favorite sites and Windows Store apps together. Here’s a quick look at some of the thinking behind the user experience of the browser from a few of the engineers who helped build IE11 for Windows 8.1.